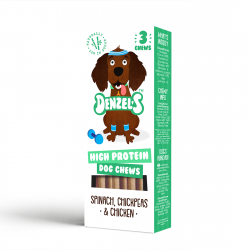 We all love a snack to keep us going, and dogs love a snack too - especially Denzel the cheeky Cocker Spaniel. 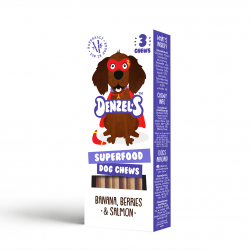 Co-founders James and Nathan set up the company after struggling to find a healthy everyday snack for James' dog Denzel. They have created a unique range of hand baked chews for dogs which are healthy as well as mouth-watering. 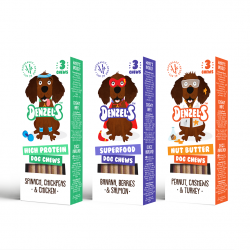 Denzel's range of healthy dog snacks are made from all natural ingredients, gently baked in eco-friendly ovens to create tasty snack-sized chews. They have zero additives or preservatives, no salt, no grain, are low in sugar and have under 50 calories per chew - the perfect way to keep your pooch busy everyday.